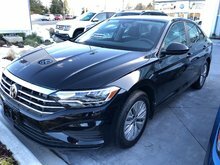 Home > New Vehicles > Volkswagen > Jetta > 2019 > 2019 Volkswagen Jetta Highline Auto w/ R-Line Pkg. 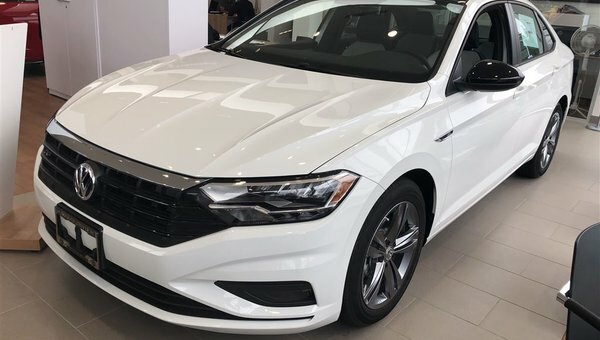 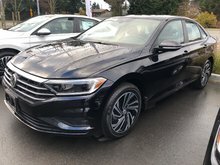 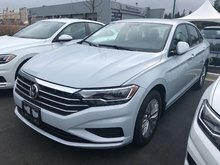 2019 Volkswagen Jetta Highline Auto w/ R-Line Pkg. 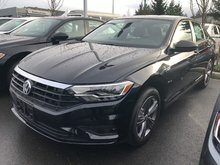 Key Features: R-Line Package and badging, 17” Viper Alloy Wheels, Ambient Interior lighting, Power ''Rail 2 Rail'' sunroof, Rain sensing wipers, LED headlights with LED Daytime Running Lights, LED tail lights, Front fog lights with cornering lights, Remote start, Power adjustable, heated, exterior mirrors, Climatronic dual-zone electronic climate control, Leather multifunction steering wheel, Leatherette seating surfaces, 8.0” touchscreen radio with proximity sensor, CD player, voice control, 6 speakers, and 1 SD card slot, App-Connect smartphone integration, Heated front seats, USB Input (x1), Blind Spot Detection with Rear Traffic Alert, KESSY – keyless access with push-start button, 4-wheel ABS, ECO Mode driving mode, Hill start assist, Rear view camera…many more features.